There are so many ways nature can be brought into the classroom as part of children’s learning, and I shared lots of ideas in Part One of How to incorporate Natural Resources Into The Classroom Many of you really enjoyed the simple and effective ways I have managed to bring bits of nature into my classroom, which inspired me to share more of these ideas. Read on to find out how I incorporate more natural resources in the classroom. Can you create a pattern? One of my favourite times to incorporate natural items is during maths. Natural items extend themselves beautifully to teaching mathematical concepts, especially through hands-on learning. Whenever I am teaching my students about repeating patterns, I love presenting them with natural items for them to explore patterning with. 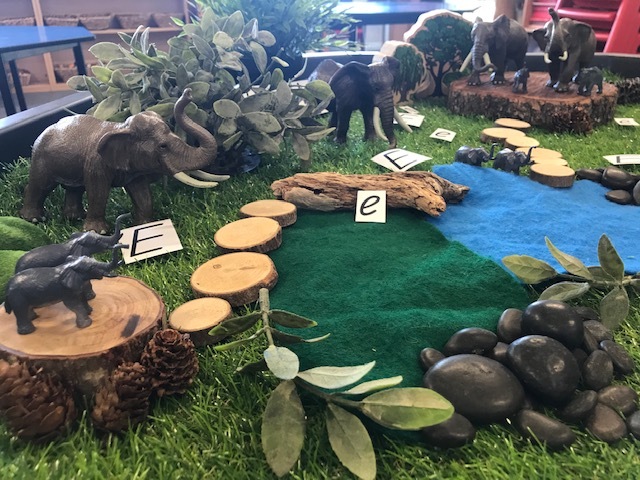 In this activity, students were free to use the natural materials to create and label their own patterns. Can you make a leaf letter? 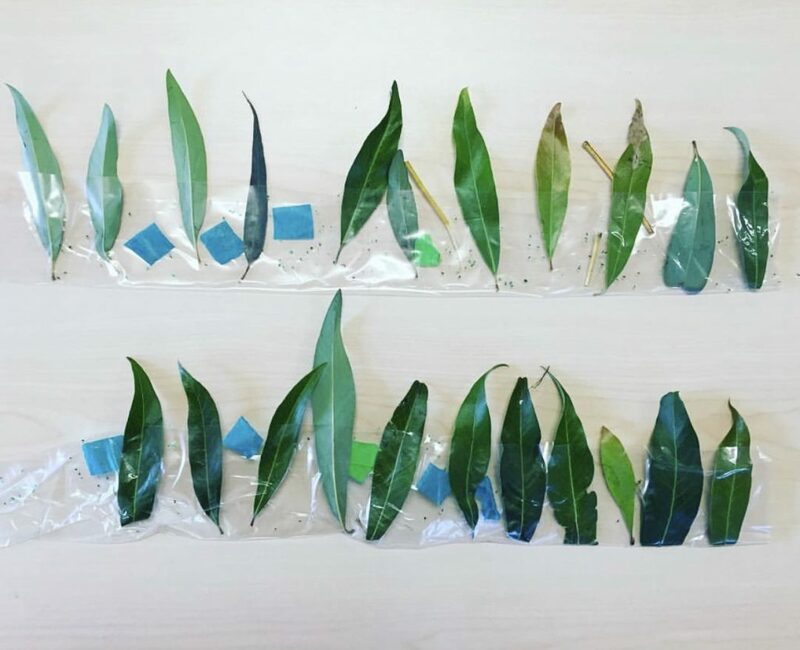 Leaves are just one of the most amazing natural resources to use in teaching and learning because they’re free, readily available and there are a plethora of ways they can be used! A few years ago, I had this learning space set up in my kindergarten classroom as an opportunity for literacy development. We read the book ‘We’re going on a leaf hunt’ and went on our own leaf hunt in the playground to collect the leaves we needed for this learning space. 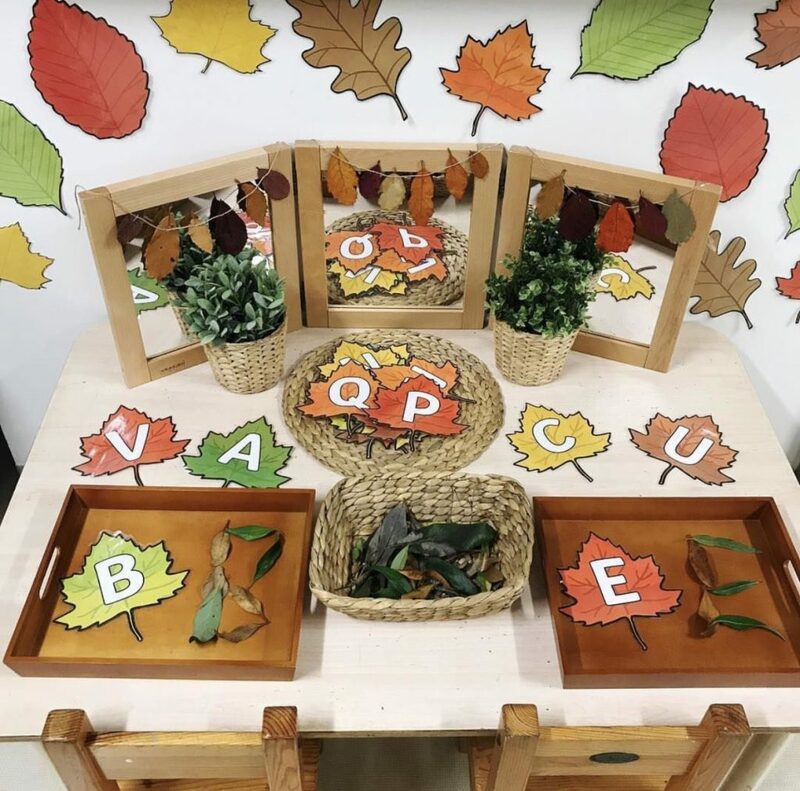 When children engaged with this stimulus, they created letters using the leaves and developed letter recognition skills and their understanding of letter formation. Is it just me or does anyone else get really excited when they’re given flowers? And not just because flowers are amazing and incredibly thoughtful, but also because they can be used for activities once you’ve finished enjoying them! One of my favourite ways to use flowers in the classroom is for ‘potion making’. 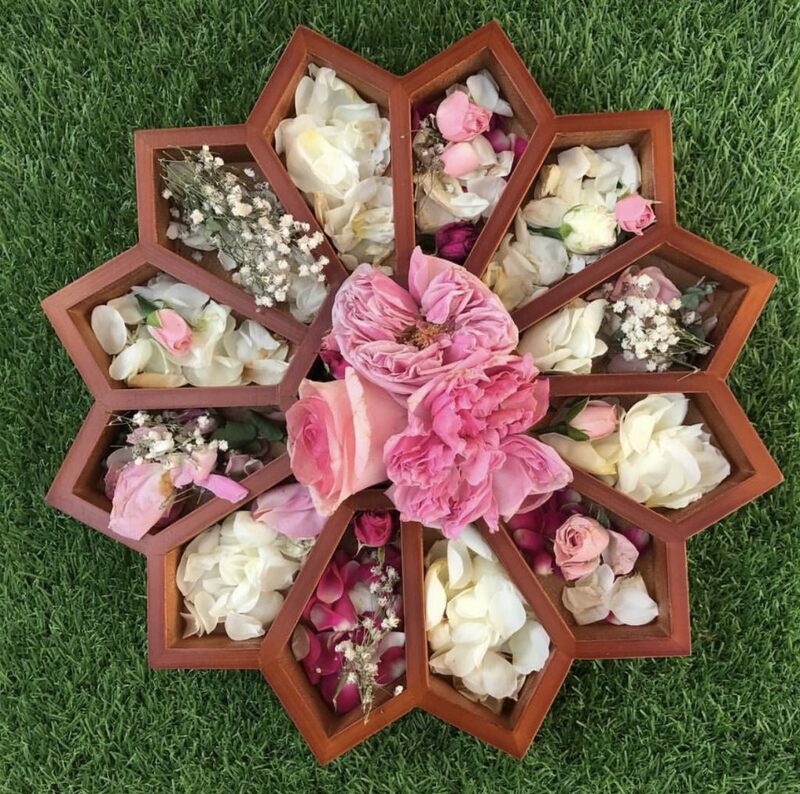 Simply provide an ‘invitation to create’ for your students with flowers, water, leaves, glitter, bowls, wooden spoons and jars and watch them create and explore. Other activities you can do with flowers include nature-cutting, colour matching, threading and flower pressing. As I mentioned before, I love using natural resources during maths lessons, particularly when we are engaging in hands-on rotations. 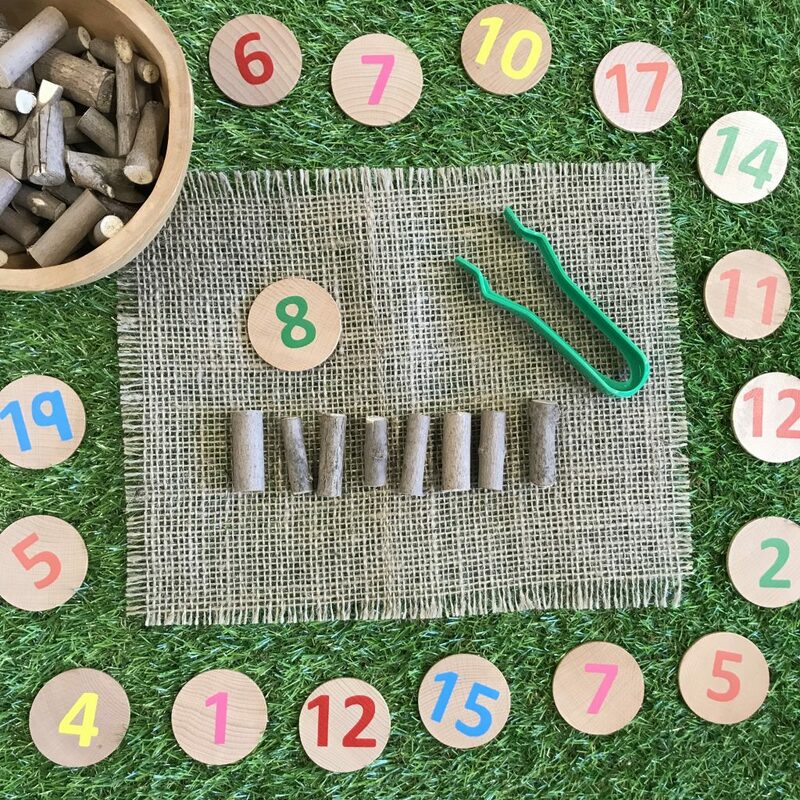 Counting using one to one correspondence, recognising numerals, and matching collections to numerals are all crucial mathematical skills that are taught in the early years. Students developed all of these skills as they engaged with this activity where they had to select and recognise a number and then make a matching collection to represent that number using twigs. The addition of the tongs enabled students to develop their fine motor skills also. Have you heard of the term ‘transient art’? Basically, it’s just a fancy term for moveable art – art that is not ‘fixed’. Transient art is continuously evolving and the focus is on the process, not the final product. 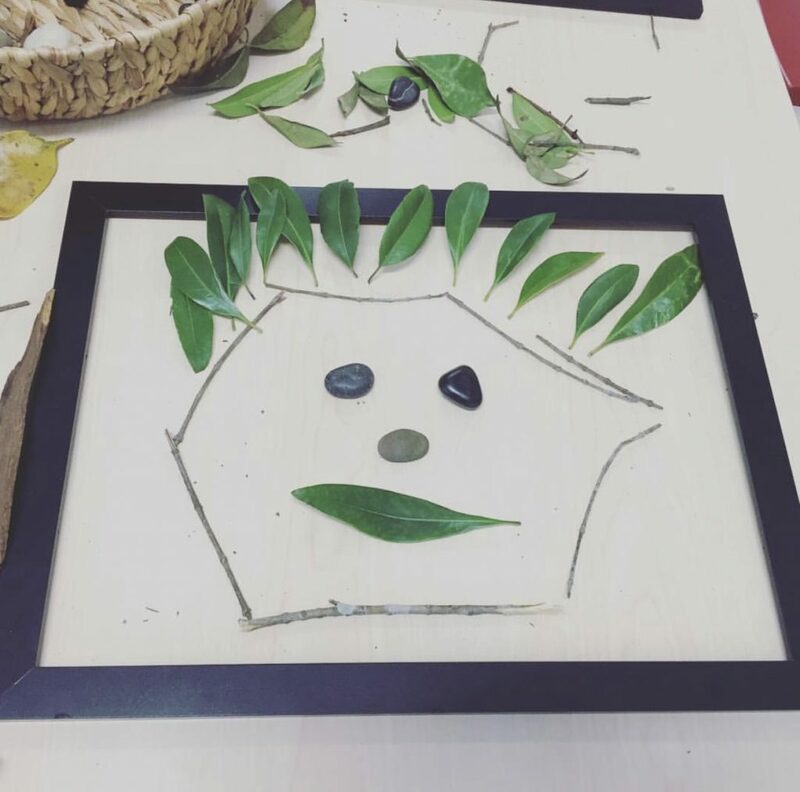 When children engage in transient art experiences, they are able to manipulate, explore and experiment with materials and let their creativity and imaginations run wild. Natural resources are perfect for transient artworks because of their open-ended nature. Items that I like using in transient art include leaves, pebbles, gemstones, small pinecones, circle branch cuts, rocks, small twigs, gumnuts and flowers. 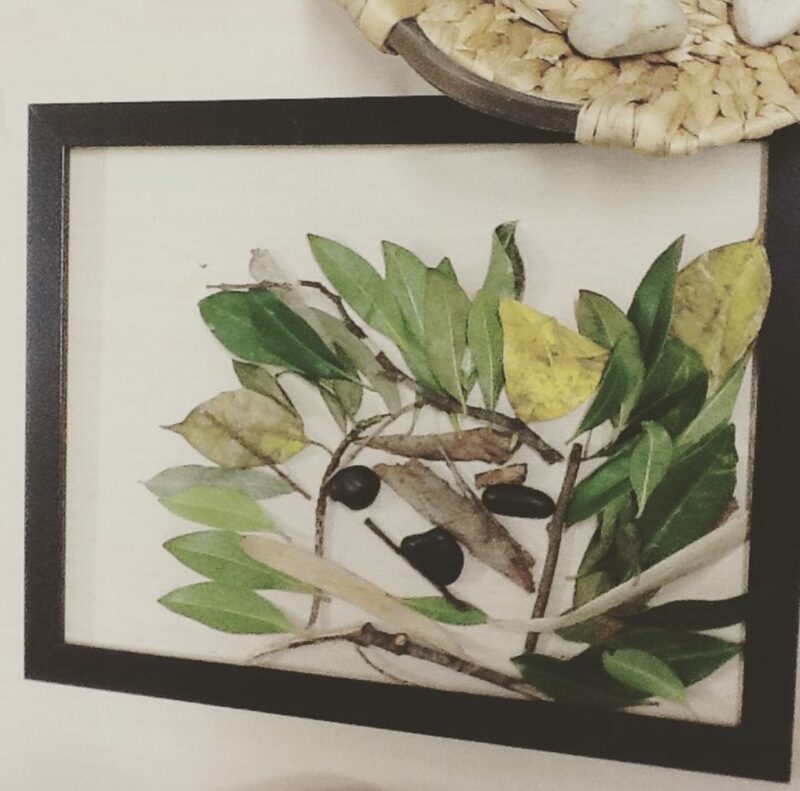 In this particular transient art experience, my students created artworks inside a frame using nothing but sticks, rocks and leaves. I was amazed at their creativity! 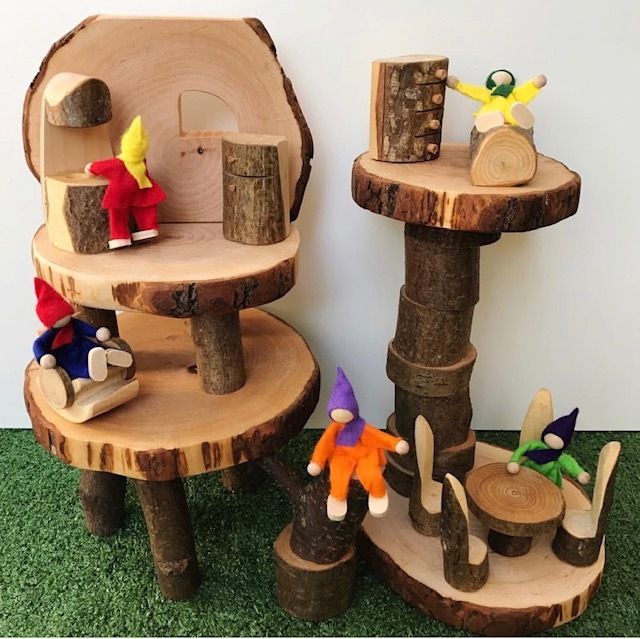 These Natural Tree Blocks are my absolute favourite construction resource that encourages children to design, create and build. 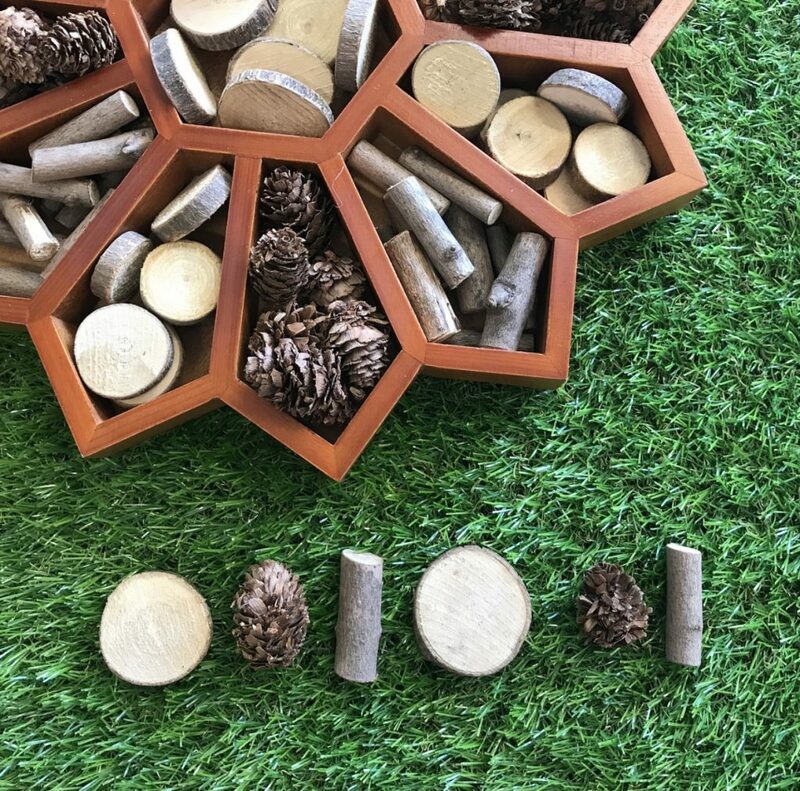 The blocks are absolutely stunning and are perfect if you’re looking for a straightforward way to integrate more natural items into your classroom. We use these blocks a lot for both construction activities and in small world set-ups. 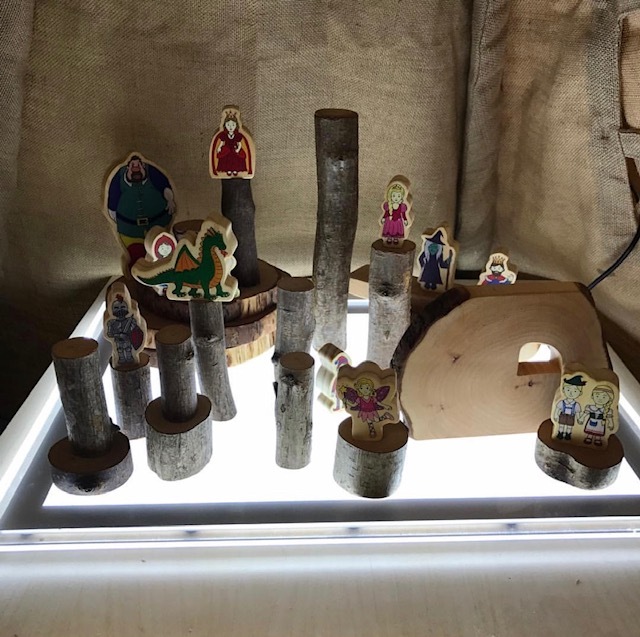 We have even used them for building on our light-box panel! 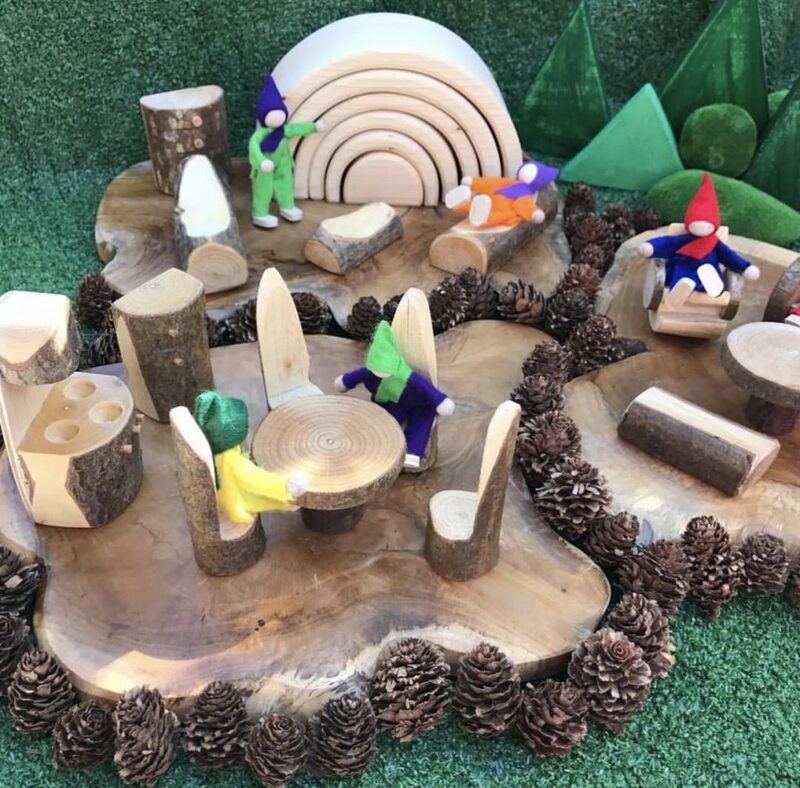 My students and I particularly enjoy using these blocks in small world play set-ups because their natural look makes the play space more realistic, especially once you add a couple of mossy stones, branch cuts and rocks! Have you ever used contact paper to create crowns before? If you haven’t, I highly recommend it! It was an activity I learnt at university and I have used it many times in my teaching career because it’s such an easy (and mess free!) way to make crowns. We made these ‘leaf crowns’ when I taught kindergarten several years ago. Simply stick your leaves and any other collage items you want to the contact paper, fold together, place around your head and voila! Your crown is ready to go! One of the most common ways I incorporate natural items into my classroom is through small world set-ups. 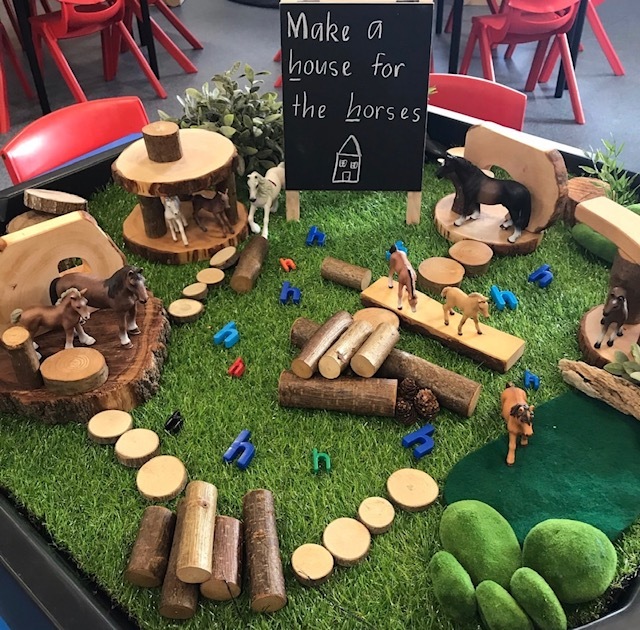 Whether it be presenting resources as an ‘invitation to create’ or setting up a small world play tray, I always include natural resources to make it ‘life like’. Can you imagine a jungle without trees, leaves and rocks? …Exactly! 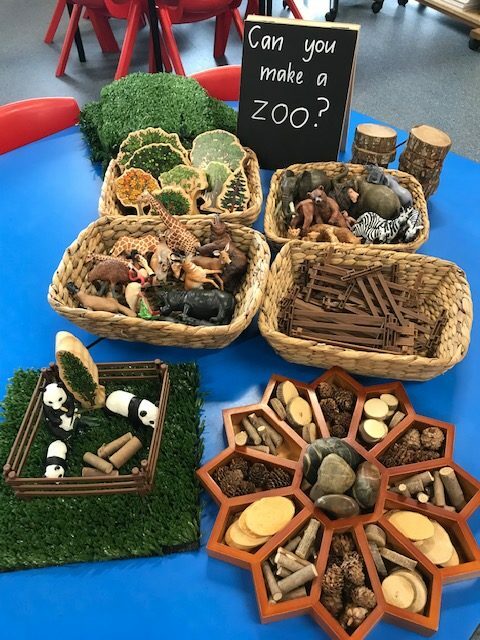 So by adding these natural pieces, the play space ‘comes to life’ and children are able to use these items in their play. 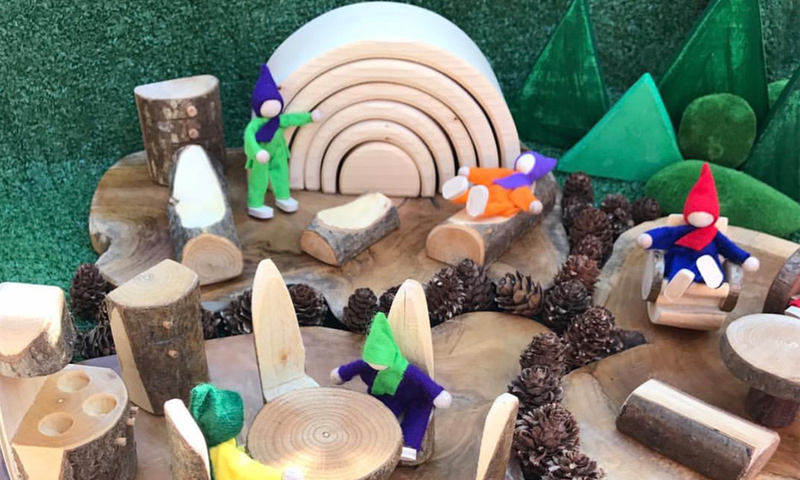 My favourite natural resources to use in small worlds are; rocks, twigs, leaves, branch cut circles for stepping stones, sticks and pine cones. It is always interesting to see how children use these items creatively during their play. How sweet are these mini Bud Cones? I fell in love with them the first time I saw them and have been using them in my classroom ever since. 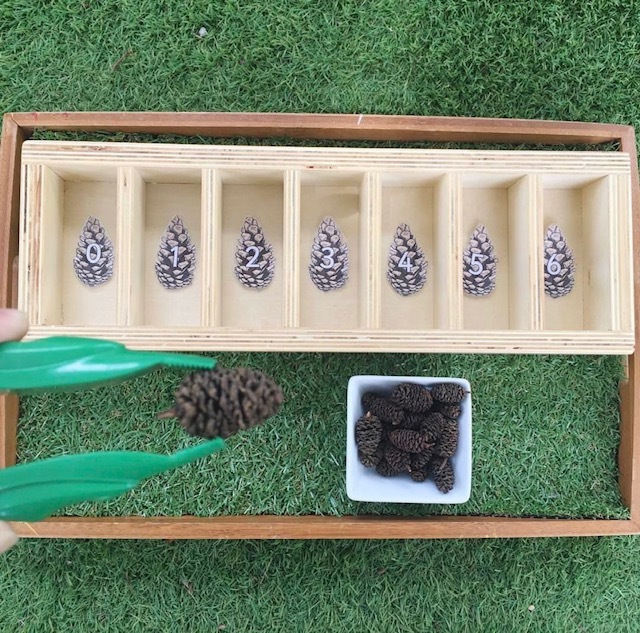 A few years ago, I set up this really simple numeracy activity using these bud cones to encourage children to develop their one to one correspondence, counting skills and numeral recognition. In this activity, children were encouraged to make a matching collection using Bud Cones to represent each number. The addition of tweezers enabled children to develop their fine motor skills also.